It’s Friday – which means it’s time for another fun Let’s Face It Friday! This week, the challenge is sew sweet, and boy was it a challenge! But a good challenge. I broke out my sewing machine and I always *love* the results of the sewing machine on cards. I sometimes cheat and do the faux stitching with the white gelly roll pen, but sewing is so nice! 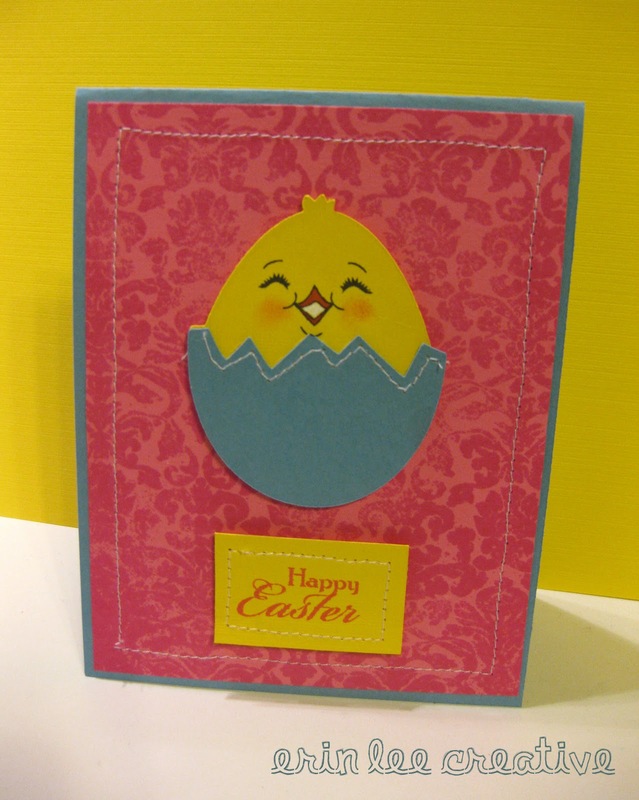 Here is my Happy Easter card. Be sure to hop on over to the PKS Challenge Blog to enter your project.